The Towanda Country Club is considered one of the finest in the area. The club opened as a nine-hole course in 1925 and was expanded to eighteen holes in 1969 thanks to the generosity of Ed and Mary Strickland. The public is always welcomed at this semi-private club located in Towanda, Pennsylvania. From the regular tees the course is approximately 6000 yards. A level lie is seldom found on the gentle rolling terrain and the fun really begins when you reach the greens. The fast and tricky greens offer even the most adept putter a true challenge. The well stocked pro-shop can handle any of your golfing needs. The bar and lounge provide a casual dining area to enjoy a beverage or delicious food. 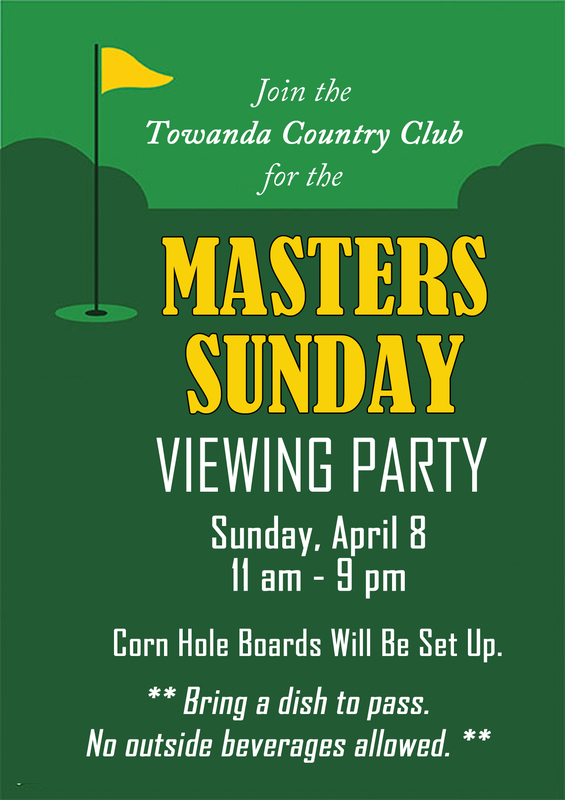 The Towanda Country Club is an ideal place to hold your next outing or tournament. Whether you need a meeting room or banquet facility, a party or an elegant wedding reception, the Towanda Country Club is a perfect choice. The 43rd Annual TCC Invitational was a huge success and ended with the team of Bryant Dunn and Brian Leljedal claiming the championship spot with a final score of 202​. Another Member Guest Tournament has come to an end, with Dan Chernosky and Chris Fulda claiming the championship title. Thank you to everyone who participated. Click here to view the final scores. Congratulations to our 2018 President's Cup champions, Larry Huber and Mark Reuter!